We are Pink Elephant International (“PEI”, “we” or “us”). Our registered address is Het Lentfert 51, 7547 SN, the Netherlands. We use a range of security measures to protect your personal information. Please be aware, however, that PEI cannot guarantee that third parties will safeguard your personal information in a similar manner. Unencrypted information – including information sent via E-mail – may also be able to be read by third parties. As a user of our services, you are responsible for protecting the information you provide, including user name and passwords, from misuse, by encryption or other means. Our sites contain links to other websites not owned by PEI. We do not control the content or privacy practices of those sites. They are not intended for children under 18 years of age. We do not knowingly solicit information online from, or market online to, children under 18 years of age. These terms and conditions apply to all visits to and use of this website, and to all information, recommendations and services that Pink Elephant International (“PEI”) or any of its affiliates provides to you on this website..
PEI has made every effort to ensure that the Information on its website is accurate and current. PEI however make no representation or warranty regarding Information provided on this web site, and specifically disclaims, without limitation, all implied warranties of merchantability and fitness for a particular purpose with respect to use of the Information. The Information is for general purposes only and does not constitute advice. PEI is not liable for any damage resulting from the use of Information on the website. This includes damage caused by viruses or any inaccuracy or incompleteness of the Information, unless the damage is caused by any wilful misconduct or negligence of PEI. PEI is also not liable for any damage resulting from the use of electronic communication, including but not limited to the damage resulting from a failure to deliver or a delay in delivering electronic communication, from interception or manipulation of electronic communication by third parties or computer programs used for electronic communication and from transmission of viruses. Unless otherwise indicated, PEI owns all rights to this website and the Information, including copyrights and other intellectual property rights, or has permission to use the intellectual property right(s) of third parties. Visitors may read this website and the Information and make copies for their own personal use, for example by printing or storing the Information. Any other use of this website or the Information requires prior and explicit consent of PEI. 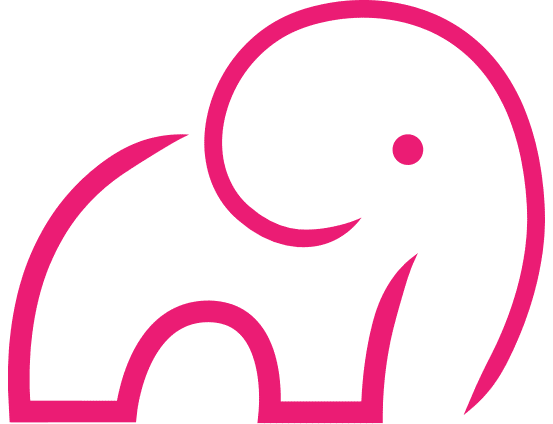 “Pink Elephant International” – both text and logo – are registered brands of PEI. • any other information that you send to PEI. contact you about our products and services that may be of interest to you. If you register, request further information or contact us PEI may keep a record of that correspondence and incorporate the information it contains into PEI database(s), which PEI will keep secure in accordance with the requirements of applicable data protection legislation. You agree to indemnify PEI against any action or claim against and any liability incurred by PEI as a result of or in connection with the use or exploitation of the ideas or materials consisting of texts, images, sounds, software, information, uploaded on this website or sent via this website to PEI and infringing the intellectual or other property rights of any third party or otherwise being unlawful towards a third party. If these terms and conditions are or become partially invalid, you will continue to be bound to the remaining terms. The parties shall replace the invalid terms by terms that are valid so as to achieve the intended effect of the invalid terms. These website usage terms and conditions are governed exclusively by Dutch law. All disputes arising out of or in connection with these terms and conditions, including disputes concerning their existence or validity, will be resolved by the courts in Enschede, the Netherlands.